Our reputation depends on YOUR Success. That's the Prism Difference! This program offers the specialized education required for students seeking to pass the NCLEX-PN exam. Upon successful completion of the program and the NCLEX-PN exam, you’ll have the skills and confidence required to enter the workforce as an entry-level practical nurse. Medical assistants are essential to the healthcare field, and they require a diverse skill set. Our program helps students prepare for a career by providing both clinical and administrative education. An externship is also required, offering a chance to gain hands-on experience prior to graduation. Welcome to Prism Career Institute. With three locations in Philadelphia, Egg Harbor and Cherry Hill, we’re proud to provide students in Pennsylvania and New Jersey with in-depth, career-focused medical training at the hands of seasoned professionals. Our programs have been meticulously developed to instill skills essential to the healthcare field through both classroom education and hands-on training. Prism Career Institute offers two primary education programs; Practical Nursing & Medical Assistant, developed to provide students with the foundational skills required to build successful medical careers. The mission of Prism Career Institute is to empower students with skill-based training, which will allow them to pursue entry-level employment in practical nursing and healthcare fields. Beyond providing our students with informative healthcare instruction, Prism Career Institute also strives to prepare our graduates for the competitive healthcare workforce through essential career skills. Think one of our programs is the right fit for your career goals? 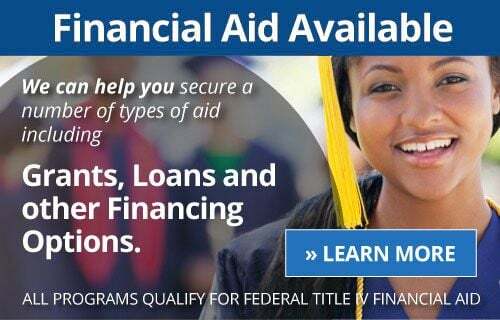 Our friendly financial aid department is pleased to provide a helping hand to make sure that each and every student has access to the funding required to study at Prism Career Institute. Our accredited educational medical programs instill essential networking, customer service and professionalism skills, while our career services department offers assistance with job interview techniques, résumé writing and professional development guidance. Likewise, we have a network of industry contacts to help up-and-coming professionals land rewarding positions with employers known throughout the area. At Prism Career Institute, we’re here for you. Learn more about our medical career training programs by calling 888-966-8146 to speak with an admissions representative, or apply for a program of your choice online. Still need answers? Fill out our form below. Prism Career Institute is a member of the Career Educations Colleges and Universities (CECU) Association. CECU recently conducted a study with Gallop Research on student satisfaction among member schools. According to this Gallop research, Career School grads are happier, healthier, more diverse and more likely to be in a job related to their field of study compared to 2-year community college grads. Read the rest of the research results here.